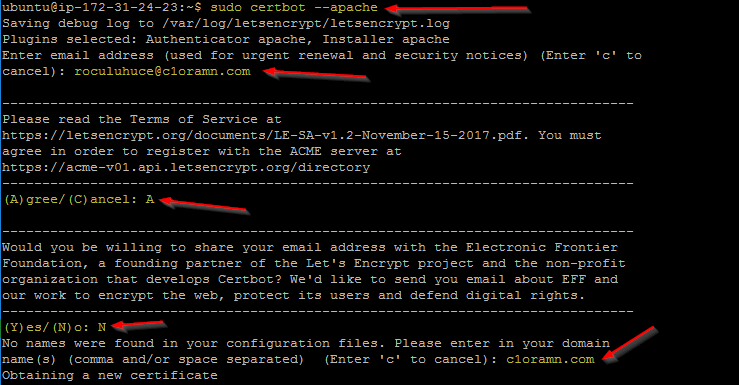 Today I show you how to install Certbot on Ubuntu 16.04 and configure auto certificate renewal. 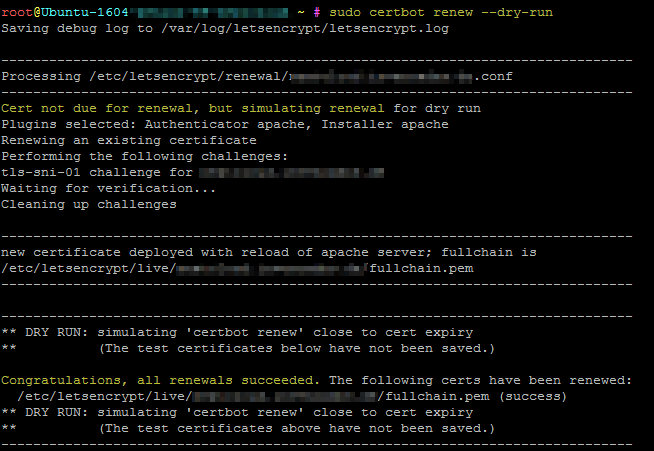 Certbot is an awesome tool that helps you to renew certificates on your web server to enable SSL. 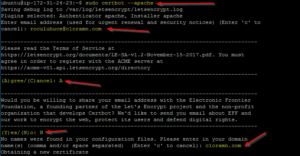 Certbot utilizes Let’s Encrypt, the popular free certificate authority provider. 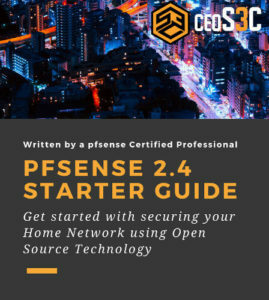 This guide shows you how to get a completely free SSL certificate that renews itself, how awesome is that? Enough talk, let’s get to work. Of course, before you can do any kind of certification, you need to have your web server in place. Simply follow my step-by-step guide on how to install LAMP on Ubuntu 16.04 and then continue with step 2. Of course, you need to own the domain for this to work and the FQDN needs to be resolvable. Last step. Time to configure the automatic renewals. Let’s Encrypt certificates are valid for 90 days only. 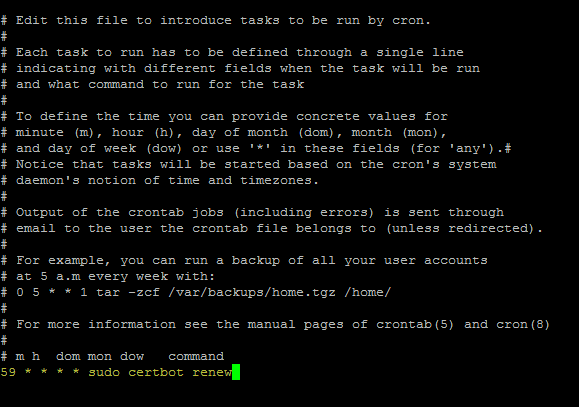 It’s highly recommended that you run a cron job at least once a day to check if a renewal is necessary. Now we are going to set up a Cronjob to automatically check for renewals every 59 minutes. This is a perfectly fine schedule, you could run it only once a day if you want but because it’s an SSL cert, I personally prefer it runs more often. Press CTRL+O to save and CTRL+ X to leave. This will check for renewals every 59 minutes. If you want to run it once a day only, you can change the syntax to: 30 14 * * * / this will check just once a day at 14:30. 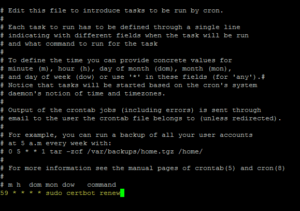 Here is a useful “Cron calculator” to help you create a schedule you like without having to understand how it works. And there you have it. If you access your website now, you should get a valid SSL authentication returned. Great tutorial. 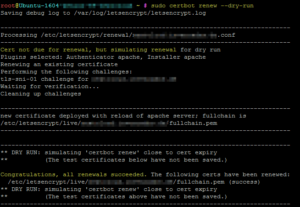 Just a note that I had to restart apache to get the renewed certificate working. Thank you so much. I am using certbot and I needed auto cert renew. That cronjob is so useful. thanks again.